Community archaeology is an important part of what we do. 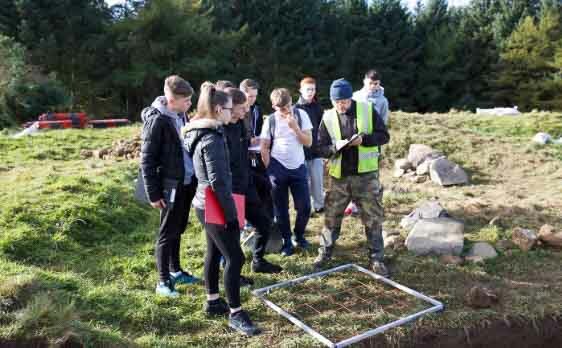 We love to help to connect people with the past, and community archaeology is one of the most rewarding ways to do just that, by giving hands-on experience and demonstrations of the skills and techniques of modern archaeological excavation and survey. 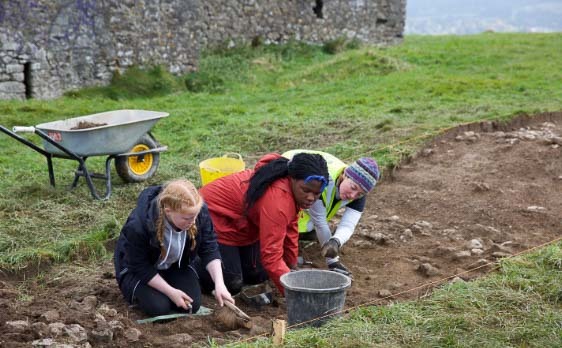 We are currently working on a number of projects to help to connect communities with their heritage such the award winning Hellfire Club Archaeological Project and Adopt a Monument Ireland (an initiative of the Heritage Council, managed by Abarta Heritage). To download your free copy of recently published Adopt a Monument Manual – click here. Get in Touch to See How We Can Help Your Community to Uncover Your Story! For us Adopt a Monument has the potential to become a vital cog in our efforts towards the conservation of what we see as an important national monument dating back to medieval times and synonymous with the origins of Killeshandra in the seventeenth century…This will boost our efforts and give recognition to the site and ensure that essential building conservation works are undertaken. It is a dream come true as it provides national recognition of the significance of this historical building in our valley. Our efforts to record and raise public awareness of the rich mining heritage of Glenmalure will be greatly enhanced by being part of the scheme. One of the very first things that we do is to visit your community and the site, that way we can understand what your needs and expectations are, what the likely difficulties may be, and what strategies are most appropriate for your site and ambitions. From our discussions we will work with you to produce a management plan that will ensure an appropriate path to knowledge in accordance with best practice and the National Monuments legislation. Our experienced researchers will carry out desk-based and library research to help to uncover some of the stories about your site or region, using state archives and cartographic sources. We can offer advice and guidance about what the best strategies for non-invasive archaeological survey are, and we will help to find the appropriate specialist surveyors and geophysists that ensure the best outcomes. We can also assist with aerial survey, another useful tool in understanding an archaeological landscape. Where appropriate and subject to licence, we can assist with small targeted test-excavations. Every excavation is unique, we will help to plan and execute the best course of action at varying levels of community involvement. From hands-on digging experience to an open dig where visitors are encouraged to see the work unfold. After the excavation comes the most important phase, the reporting, publication and dissemination of all the results.